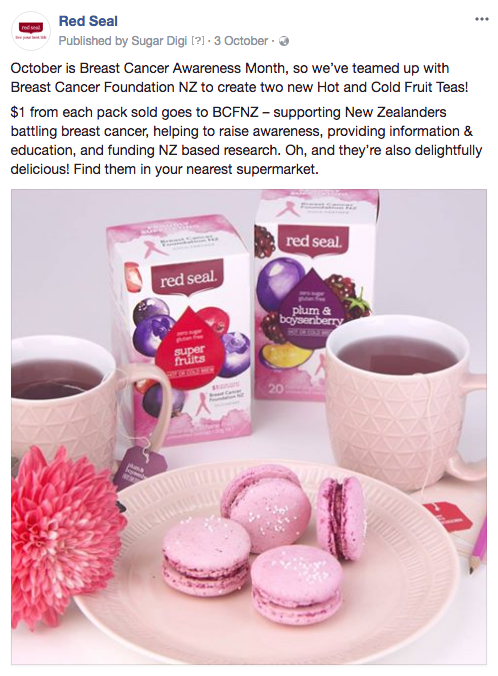 Two delicious new teas were added to Red Seal’s range of Hot or Cold tea, in partnership with Breast Cancer Foundation NZ. The vibrant new flavours – Plum & Boysenberry and Super Fruits – were launched in the midst of Breast Cancer Awareness Month, adding a touch of pink to Red Seal’s Social Media. 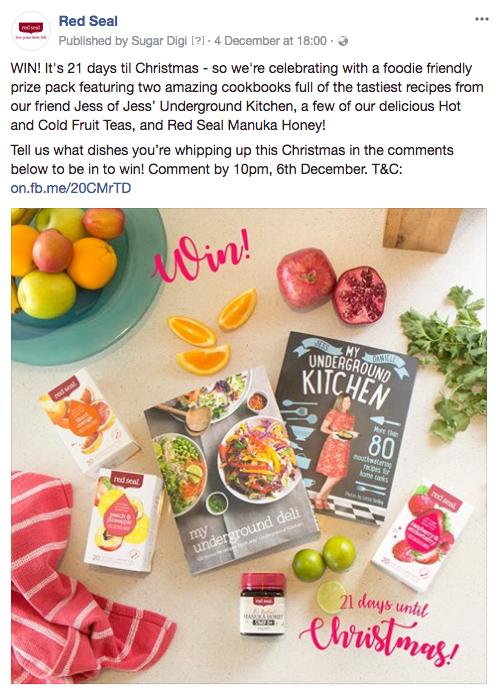 The exciting collaborations continued into December, with a Christmas giveaway featuring two cookbooks written by the talented Jess at Jess’ Underground Kitchen. It’s fair to say these partnerships left our mouths watering!